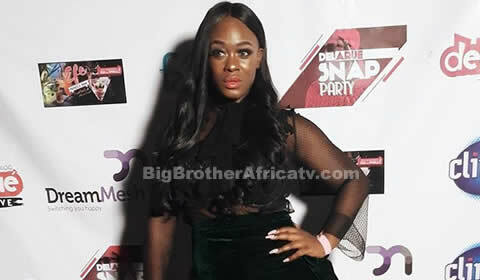 Ex-Big Brother Naija season 2 star and singer, Uriel Oputa shot into limelight after she took part in the 2017 edition of Big Brother Naija. When asked about the kind of sacrifices she made to get to the level she is , the curvy entertainer said "Charly Boy is my uncle and he inspired me in a very huge way. I was encouraged by what he had achieved with his entertainment career. However, I wouldn't say that anybody really paved the way for me in the entertainment industry. I struggled for everything and where I am now. I made sacrifices like everybody else, and it took me about 10 years to get to this spot. Meanwhile, this is nowhere close to where I want to be. I believe I still have a long way to go" she revealed in a chat with Punch. On how BBNaija changed her life, she said "Big Brother was a very great experience for me. I enjoyed every aspect of the show and I am so happy that I was able to make new friends. It is a great platform; so, it has done a lot to boost my profile"